The decision by the Japanese government to permit casino gaming (“Integrated Resorts” or “IRs”) was a long time in the making and one leaving almost as many questions unanswered as answered. With public opinion not exactly aligned with the government’s decision, the roll out of casino gaming has many hurdles to overcome and will likely take considerably more time before before a final regulatory and operating context is in place…let alone a process for selecting developers/operators. Basic questions remain such as: How many IRs will be permitted? Where will they be located and who will decide? Will minimum capital/infrastructure requirements be put in place? Will Japanese residents be given unrestricted, free and/or equal access to one or all IRs? How will the Gaming Bill’s focus on international tourism be implemented (and what restrictions might this create). The issue of international tourism is an interesting one. Trips by Japanese to other countries have generally ranged between 15 and 17 million/year since 2000. Yet inbound visitation to Japan has soared over the same time period. In 2000, about 18 million outbound international trips were taken by Japanese residents compared with inbound trips, from all international origins, of just under 5 million. In 2016 (estimates provided by JTB Tourism Research and Consulting), Japan welcomed 19.7 million international visitors (more than 80% from China, South Korea, Taiwan, Hong Kong and Thailand) while outbound travel by Japanese residents is expected to be just under 18 million (about the same as in 2000). Japan as an international gaming destination? Market potential of US$30 billion? $40 billion? Revenues greatly exceed that of Macau? Decisions taken by the Japanese government over the next year, as the implementation of the Gaming Bill starts in earnest, will largely determine revenue potential. A simple prediction however? Without unrestricted access to casino gaming by Japanese citizens, the revenue estimates we’ve seen to date are optimistic…wildly so. HLT Advisory is pleased to be working alongside KPMG Japan in assisting the central government, and others, in the initial stages of casino gaming. HLT will be participating in seminars in Osaka and Tokyo on February 13th and 15th, 2017.
Who Said Anything About Retirement?! Trump Effect on U.S. Inbound Travel: Fact or Fiction? Canadian Tourism Vision Statement …Bold but how Realistic? 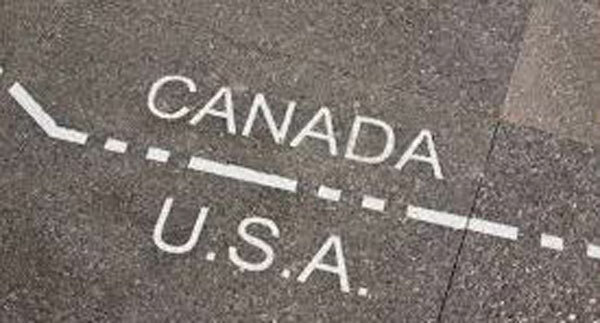 A Virtual Tourism Wall on the Canada – U.S. Border? A trusted adviser to private- and public-sector clients in the international tourism, hospitality and gaming industries...for 35+ years. Areas of focus: Gaming, Hotels/Integrated Resorts, Convention and other Public Assembly Venues, Destination Management, Attractions, Entertainment and general Tourism. Over 30 years of Advisory Services to the Tourism, Hospitality and Gaming Industries. © 2019 Lyle Hall. All Rights Reserved.